Alabama will open its 2015 season Saturday night against Wisconsin, a program that has success running the football in a traditional way. 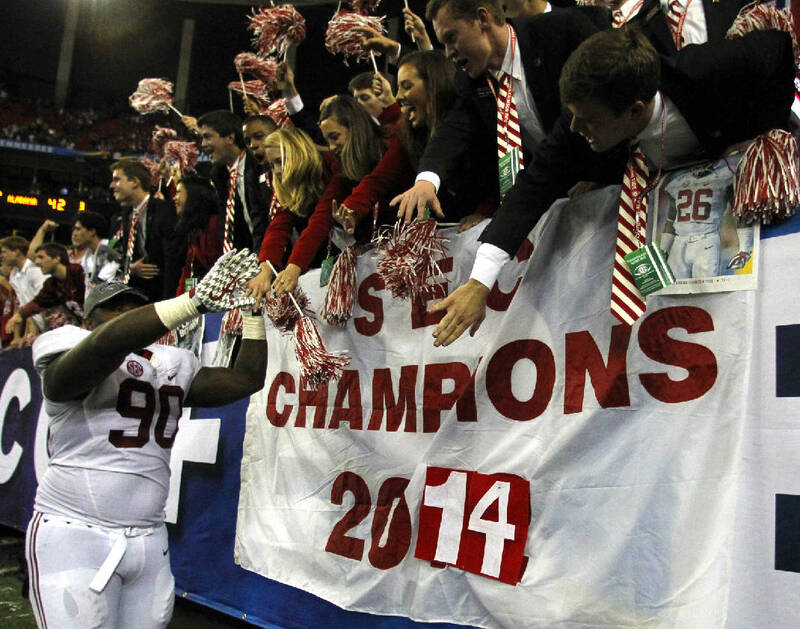 Crimson Tide senior nose tackle Jarran Reed is excited about the task, which will take place in the luxurious home of the Dallas Cowboys. "I'm not focused on where we're playing but who we're playing," Reed said in a recent interview on the university's website. "Wisconsin is a big, physical team, and they love to run the ball." The Crimson Tide practiced inside Saturday afternoon due to incelement weather, working out for two hours in full pads. Reed is a big, physical guy who likes to rack up numbers. The 6-foot-4, 313-pounder amassed 55 tackles and 6.5 tackles for loss last season for the Southeastern Conference champions, and he broke up five passes. His 55 tackles were the most by an Alabama defensive lineman since Wallace Gilberry, now with the Cincinnati Bengals, in 2007. Reed earned All-SEC honorable mention for his performance last season, which followed a two-year stint at East Mississippi Community College. Reed is very much on the NFL radar for 2016, with longtime ESPN analyst Mel Kiper tabbing him as the No. 2 senior defensive tackle prospect. "Converting into an effective SEC D-tackle didn't happen overnight for Reed," Kiper wrote recently, "but by midseason last year he was flashing pro potential, culminating with a two-week stretch when he notched more than 20 tackles against LSU and Mississippi State." Originally from Goldsboro, N.C., Reed was arrested before collecting his first tackle last year, getting charged with driving under the influence after he crashed into another car and tried to leave the scene. He was suspended for the start of preseason practice but was reinstated before the opener and had two tackles and a pass deflection against West Virginia. Reed's busiest game was a 15-tackle performance in the overtime win at LSU, when the Crimson Tide held the Tigers to 3.3 yards per carry. "Last year, I came in not wanting to mess up on any plays," Reed said. "Now I'm more comfortable with the speed of the game. Now I can go out there and play." The defensive front is the deepest part of Alabama's team, with even coach Nick Saban and defensive coordinator Kirby Smart having a difficult time downplaying its talent, versatility and depth. 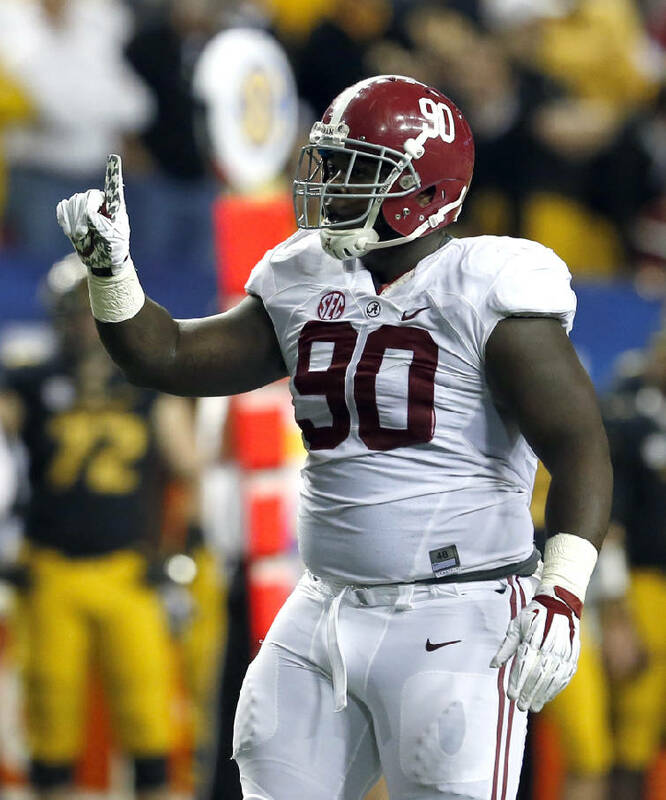 Reed, who will be flanked by A'Shawn Robinson and Jonathan Allen in the starting lineup, is ready to put that on display. "There is a lot of wear and tear on the body, so being able to bring in guys who can bring the same intensity and ability is a real plus," Reed said. "There is no telling what we can do. We just want to go out there and dominate." Alabama continues to be a 10-point favorite over the Badgers. Two true freshmen have been working on the second-team offensive line, with Dallas Warmack at left guard and Lester Cotton at left tackle. True freshman Blake Barnett was spotted by reporters Saturday working as the scout-team quarterback.